Electron Machine Corporation founder Carl Vossberg, Jr. was a pioneer in the application of refractometers of industrial use. As the holder of more than 30 technical patents, Mr. Vossberg dedicated his life to improving industrial processes through refractometry, measurement, and control. His biography reveals how his dedication to industrial refractometry led Electron Machine to its leadership position in the industrial refractometer market. 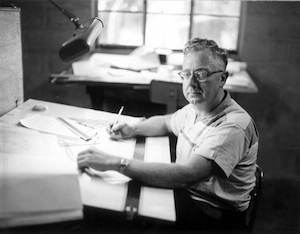 Carl A. Vossberg, Jr., (born July 16, 1918) was an American electrical engineer, inventor, and entrepreneur in the electronic instrumentation industry. He is known for more than 30 technical patents in the area of refractometry, measurement, and control. 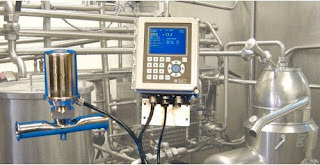 Vossberg also founded Electron-Machine Corporation, the company responsible for the introduction of inline process refractometers as a measuring system for the pulp & paper, food, and chemical processing industries. Vossberg began his college education at the City College of the City of New York (CCNY), studying electronics, and was awarded a BEE in Electrical Engineering from CCNY and a MS in Electrical Engineering (EE) from Columbia University. He also attended Massachusetts Institute of Technology. During WWII, Vossberg worked for the U.S. Office of Strategic Service (now CIA) participating in the development of remote radio transponders, artillery tracking systems, weapon fire detection controllers, and video transmission. Vossberg entered the profession as a radio engineer for RCA and designed circuits and established radio facsimile facilities for the Office of War information. Later he became Chief Engineer for Standard Electronics Research Corporation, where his duties were to originate and direct the research and development programs and supervise engineering and technical personnel in electronics, x-rays, communication, instrumentation and process controls. He was also Vice President of Research and Developments, Inc., and Vice President of Industrial Gauges Corporation. After the war, Vossberg set out to apply electronics technology to industrial applications. Electron Machine Corporation was formed in 1946 for the purpose of designing automatic electronic gaging and indicating equipment. The company was established in the back of a radiator repair shop in Lynbrook, New York. Instruments for diameter and thickness measurements for steel and cable products were conceived, developed, and licensed to other manufacturers. 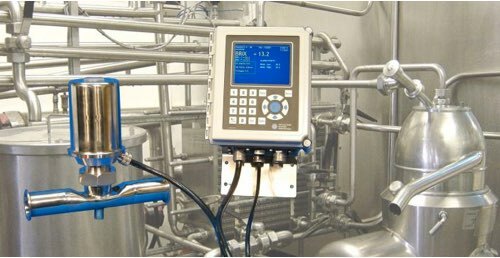 These instruments included the first commercial x-ray thickness gage, optical cable diameter gages, and an industrial process control computer. In 1950 he, in partnership, formed the Industrial Gauges Corporation and later established Research Developments, Inc., as a subsidiary. This expansion provided the manufacturing facilities for the products developed by the Electron Machine Company. Engineering, manufacturing and design continues today with the third generation of Vossberg leadership. As a vertically-integrated manufacturer, Electron Machine continues the Founder's legacy of manufacturing inline industrial refractometers that solve the most challenging industrial applications while providing the highest levels of service and support to customers. Labels: Carl Vossberg, Electron Machine, industrial refractometer, Inline Refractometer, Jr.
Light rays travel through space in a straight line at approximately 300,000 km/s. As light passes through a transparent medium, such as water or glass, its speed is decreased. For glass, its reduced to 200,000 kilometers per second, and for water the speed is 225,000 kilometers per second. If the light enters into a medium perpendicular to the surface, it passes straight through but at a slower speed. 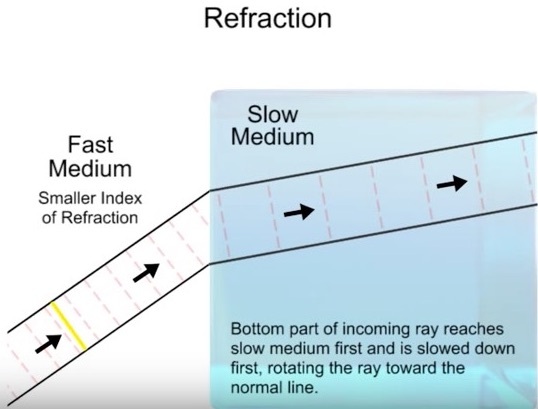 However if the light beam arrives at the medium surface at an angle, not only will it speed be reduced, but it will bend due to a process called refraction. To better visualize this phenomenon let's look at Diagram 1. As a beam of light reaches the surface of a medium the lower portion enters first and is slow down. However, the upper portion is still traveling at the speed of light until it arrives at the surface and enters. This speed difference at the top and bottom aspects of the light path causes it to pivot, bending toward what is referred to as the normal. This is an imaginary line drawn perpendicularly to the surface of the material. Transparent materials have what is called a refractive index. This is the speed at which light travels in a medium compared to like traveling in a vacuum. For example, typical glass has a refractive index of 1.33. This is calculated by dividing the speed of light in a vacuum (300,000 km/s) by the speed of light in glass (225,000 km/s). The refractive index of air is 1.0003. Anytime a light beam travels from a medium with a low index of refraction, like air, to a medium with a higher index of refraction, like glass, the beam of light will bend toward the normal. Likewise when the beam of light exits a highly refractive medium into a medium with the low index of refraction, the process is reversed. The bottom portion of the beam of light exits first, and resumes at the speed of light, with the top portion still at the speed determined by the medium. This causes the beam to pivot away from the normal line.